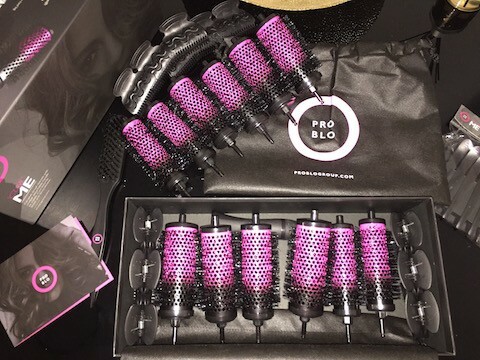 I honestly couldn’t wait to try this Pro Blo set!, I love the curly blow look and I love being able to do it at home so you don’t have to go all the way to the hairdressers! The point of the Pro Blo range is to curl the hair up using the brushes, then after each section detach the brush head, apply a clip to hold it in place and leave in to set!…. then repeat all over the hair, once this is taken out – the hair is then blow dry to perfection and has greater staying power! 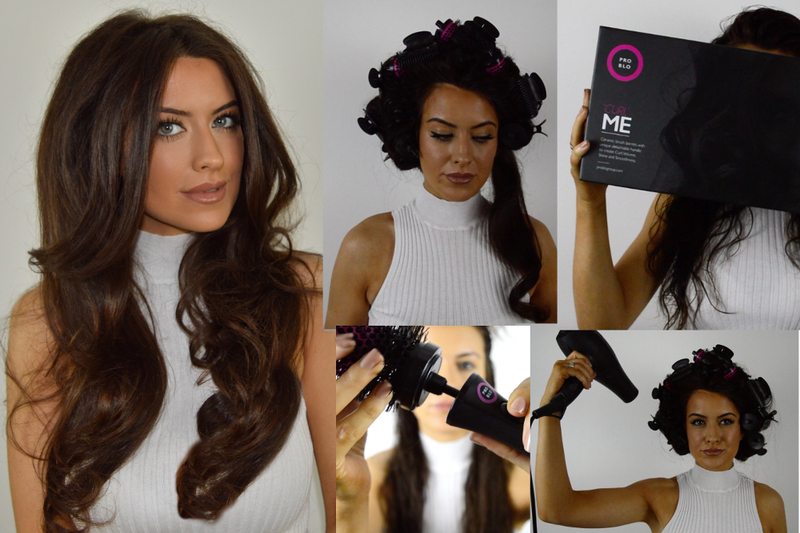 For this review I used the Pro blo CURLME Deluxe, £60.00 plus the PREP & FINISH ME bundle £18.00 (or the equivalent of) – So 12 brush handles in 3 different sizes, 1 brush detachable brush handle, a carry bag, 12 brush clips, 6 section clips and a VOLUMIZE ME brush. Everything is excellently packaged, and of a really good quality! Very! simply blow dry the hair using the Pro blo brushes, and curl it up around the brush using your hand and the hair dryer/nozzle, detach the handle, clip in place and leave it! Amazing. I used all twelve brush heads, although I could very easily have used less! The section clips were strong and sturdy, as are the brush clips…and my main star of the show was the volumize me brush. unlike any texture Ive used before- it created volume that lasted and stayed in place when used as a backcombs brush, and smother the hair beautifully when used through the ends of the hair! Bouncy, blow dryed hair that lasted a bit longer than it would it if I blow dryed each section without keeping the brush barrels in! Definitely worth a go! Previous Article← Kylie cosmetics metallic lip kit dupes + How to create metallic lips!